We are having another mystery tube sale! There are a few different options to choose from in case you are interested in a specific band. All tubes contain 4 silkscreen posters in new condition! The sale lasts until Sunday, March 10th or until supplies last. Limit one per customer per type of mystery tube (in other words, you can order one of each if you’d like!). The Alan Forbes Mystery Tube sale can include Forbes posters from 2007 – 2013. We will be throwing in extra swag in with these tubes! The Faith No More Mystery Tube sale can include posters from their first reunion show at the Brixton Academy in 2009 to their last show at the Brixton Academy in 2012. 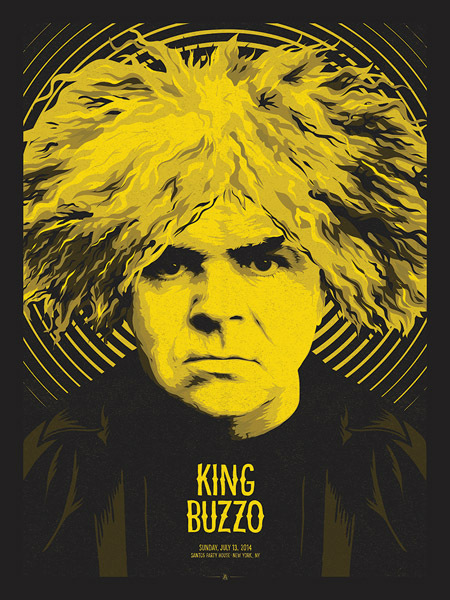 The Melvins Mystery Tube sale can contain posters from 2007 to their recent Guiness Book record setting Melvins Lite tour in 2012. The Mudhoney Mystery Tube sale can contain posters from their tours ranging from 2008 to 2012. We will be throwing in band signed copies in random tubes as well. Queens of the Stone Age Mystery tube sale can contain posters from their US, Europe, and Australian tours in 2007 and 2008. The Secret Serpents Mystery Tube sale can contain posters from the above bands and others like Fantomas, Tomahawk, Swans, the Mars Volta and many other bands by artists Alan Forbes, Malleus, Marq Spusta, Lil Tuffy and many, many more! Faith No More mystery tube sale! From now until Sunday (February 3rd, 2013) we are offering a Faith No More Mystery Tube! Each tube will contain 4 posters in new condition from the original edition. All posters are 18″ x 24″ and signed are numbered by the poster artist. For more information, click in the image below! Faith No More posters on sale this week! From now until Sunday, December 16, all Faith No More posters are on sale in our webstore! Also, any poster or record order placed before noon (PST) will be shipped the same day. Others after will be shipped the next business day.